Thousands of Torontonians participated in the work, and collaboration took place by blog (TSO.CA/Composerandcity) and e-mail, via Skype and smartphone, using audio and video recording and streaming, and through numerous face-to-face meetings and music-making sessions in Toronto. 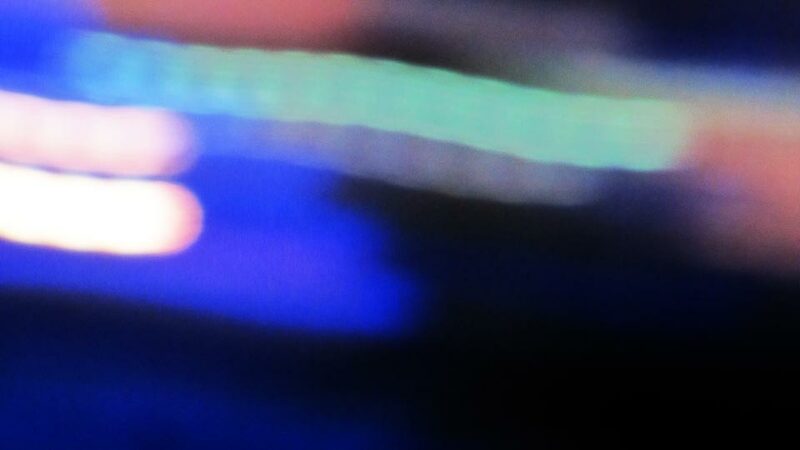 In addition, collaborators used Media Scores and Constellation web music apps (developed at the MIT Media Lab specifically for this project) as well as the MIT Media Lab’s Hyperscore graphic composing software to let anyone create original material or make their personal versions of Machover’s work. 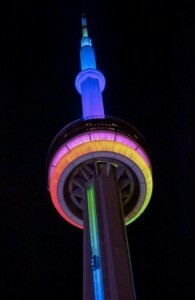 Working in collaboration with the CN Tower, the light show is designed by the MIT Media Lab’s Peter Torpey, who also designed the interactive graphics for the concert hall itself. This light show will visually represent the sounds of A Toronto Symphony: Concerto for Composer and City and will also be shown on the screens in Roy Thomson Hall alongside live shots of the CN Tower, during the live performance. TSO Music Director Peter Oundjian leads the World première of A Toronto Symphony: Concerto for Composer and City on March 9 (concert begins at 8:00pm). Tickets are still available for the performance at TSO.CA or by calling the TSO Box Office at 416-593-4828. Listen to a broadcast of A Toronto Symphony: Concerto for Composer and City on CBC Radio’s In Concert on April 21, 2013. Defining the Toronto skyline, at a height of 553.33m (1,815 ft., 5 inches), the CN Tower is Canada’s National Tower, an engineering Wonder and Toronto’s must see attraction visited by over 1.5 million people annually. Open daily 9 am – 10 pm. With the installation of innovative, energy efficient programmable LED exterior lighting, the CN Tower literally lights up the Toronto skyline each night vividly illuminating the structure in Canada’s official colours of red and white. This entry was posted in Project Info and tagged music festivals, new music, Sounds of the city, symphony orchestra, Toronto by june. Bookmark the permalink. I know I’m a bit late for this. But honestly, I really got interested with this Toronto Symphony. And it made more interesting knowing the CN Tower became a part of this. By the looks the CN Tower lightnings seemed to be amazing. Would you mind sharing any link which I can fully watch the concert…a very clear and HD video if possible. I am just really eager to watch this one. And its great to know that it one of the best charitable events in CN. Great job.